Pack up your pals for this rejuvenating evening in the Allerton Mansion! Instructor Josie Heck from Yoga Off the Square will lead your entire tribe through a 60-minute yoga class, including strength poses and cooling postures for the nervous system – suitable for all levels! After class, unwind with a glass of wine and good conversation in front of the Library fireplace. Yoga will begin at 6:30pm in the Allerton Library. Please arrive 15 minutes early and wear comfortable clothing. Mats will be provided on a first-come, first-served basis. 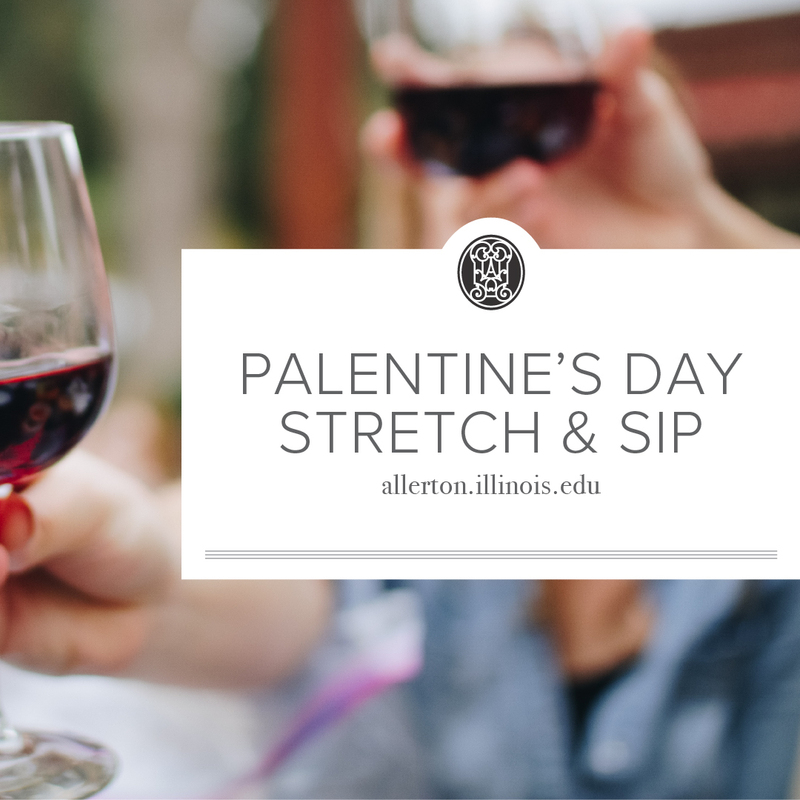 This event is open to all ages, but you must be 21 to enjoy a glass of wine after class. Advance registration is suggested due to limited space. Day-of registration will only be available as space allows. Pool your funds and stay overnight in one of Allerton’s cozy lodging facilities! Head back home on Valentine’s Day morning with a full heart, more inside jokes, and closer connections to your best pals ❤ Call 217-333-3287 to make your reservation.